Today I'm taking a look at the Melissa and Doug, See and Spell Puzzle. I have seen this puzzle in many Montessori environments. While I am a traditionalist regarding materials at school, in the home I take a different approach. 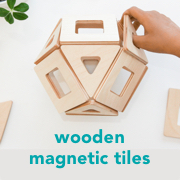 I personally think this puzzle is perfect for the Montessori home! For a younger child, you could present one board with just the letters that match. This would make a really simple first step. Then you could present one board with a mixture of letters so the child has to sort through them. Then you could present two boards and so on. It's a really hands-on method for building words! There are three letter words like cat, bus, hen, sun, car, cow, pig, dog. Then are then longer words to work up to including bird, fish, duck, sock, frog, bear. There are eight, two-sided boards and 16 words in total. I've found this puzzle and all of the letters to be really solid. I love the built in control of error, there is no way the child can do it wrong, they can just keep on working until they have found all the letters that fit! The images are all clear and are easily recognised by young children. There are 72 colourful wooden letters in the set. Although the letters are not red and blue as in Montessori, they can still be used as a type of movable alphabet, for the child to spell their first words, their name, possibly even short sentences. 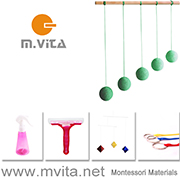 The letters are all lower case which is ideal from the Montessori perspective. I love that as with many Melissa and Doug toys, the puzzles and letters all come within a neatly presented wooden tray which sits perfectly on the child's shelves! The See and Spell Puzzle is recommended for children three to six years. This puzzle is also great for developing fine motor skills and building concentration. Our See and Spell Puzzle is c/o Child.com.au. Child.com.au has 20% off all Melissa and Doug products until Thursday 9th March 2017!! Please see their website for further details. In the US the Melissa and Doug See and Spell Puzzle is available here. I'd love to hear if you've used this puzzle at home!